Submit three images of fashionable dress that you find compelling and would like to work with throughout the semester. Choose a mediated image — one that conveys fashion as well as its cultural context, typically an illustration, photograph or artwork (avoid pictures of garments from museum archives or costume collections) and remain within the course range of 1850-1990s. You are strongly encouraged to submit a family photograph as one of the choices; textbook images are not allowed. Your instructor will select the option most appropriate for the assignment, so be sure to list in order of preference. This assignment must be posted on the Learning Portfolio. Basic background information such as date, context, artist, designer, model — whatever is appropriate, and beyond a designer bio. Remember you will not consider only the designer, but the totality of information conveyed by the image. Explanation for your choice: why do you find the image compelling – is it the aesthetic? Subject? Feeling? Memory? Narrative? Discussion of its relationship to your design work and/or personal style. Is it similar or different? Designer: Charles James; “Taxi Dress”; 1932; Supports the idea that women should be able to change in a taxi. I chose this dress because first semester, freshman year, my Space and Materiality professor brought up this dress and I’ve been wanting to learn more about it since then. I also think the ideology behind the dress was extremely ahead for its time. This relates to my personal style because ever since I’ve started at this school, it’s opened me up to a lot of female empowering ideologies. I think that writing a paper on this would open me up to a whole new side of fashion and what it can do to speak up and make a difference. I chose this style of dresses because I went through a phase where every outing I went on, I had to be dressed in a little black dress. They suited my style and figure at the time. I loved the elegance it brought to me and my ambiance. It made me feel like royalty everywhere I went. This is similar to the answer to number two. It was something my style identified with. I dressed like this whenever I went out for parties and it was quite similar to the mood of 20s. Flapper Dress, 1920s, Associated with the cultural revolution of women during the 1920s. 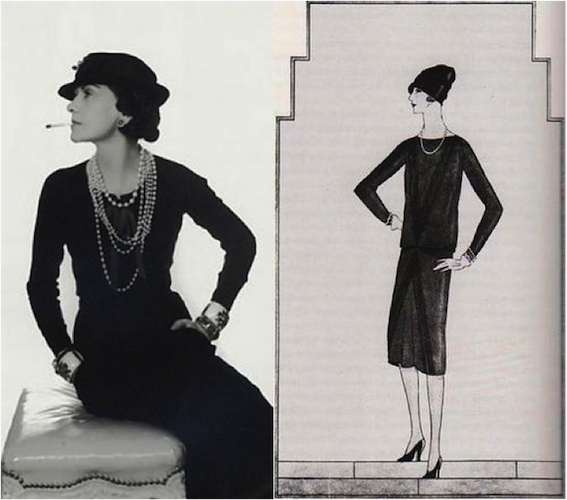 I chose this style of dresses because I find the 20s to be a very invigorating time. It was a lot about redefining the image of women and making them freer and more outspoken rather than the quiet housewives their predecessors were taught to be. I think it relates to my personal style because I encourage the modernization of women. It’s similar in the sense that it was made to be easy to move around in which is what I think is an essential for the modern woman. I dance and I’m very into stage costumes so I relate to this even more because these were made to be presentable on stage. They were designed to move with the female body.